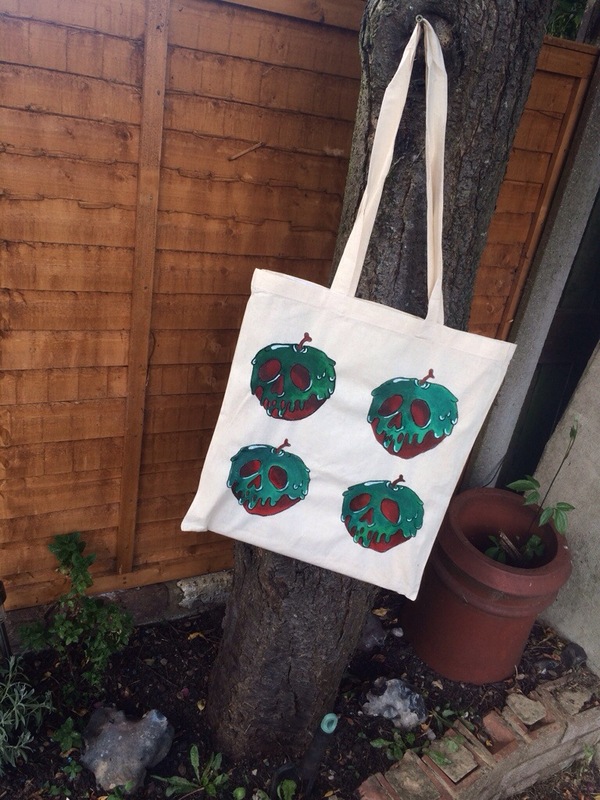 I have started to paint 100% cotton bags to add to my Etsy store and so I thought I’d do a little blog post to update you with what is available so far! 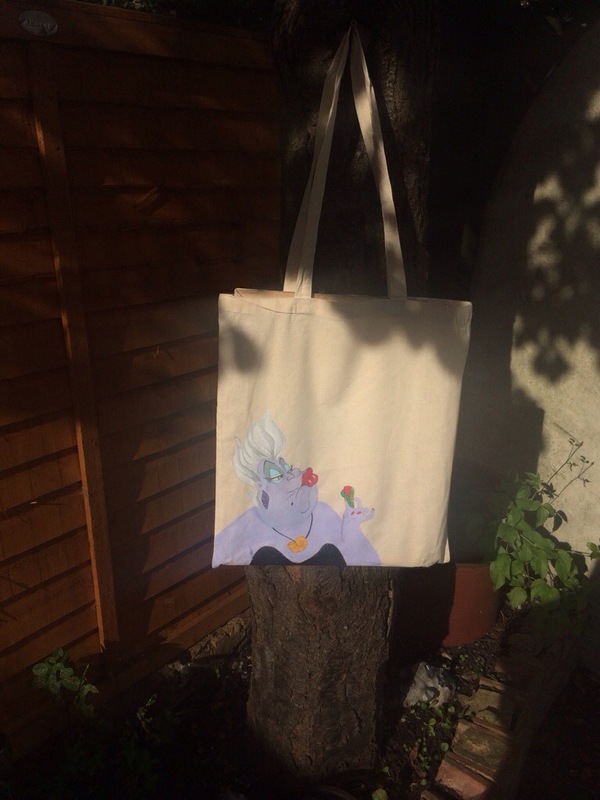 Today I added “Poor Unfortunate Souls” to the store as well, an Ursula inspired design that I love! With all painted tote bag designs I include free personalisation, this could be either a name or a quote. I will be adding a bespoke tote bag option shortly where you can have pretty much any design you want painted for a set price! I ship internationally so everyone can enjoy my designs. Please check out my store here and let me know what you think!